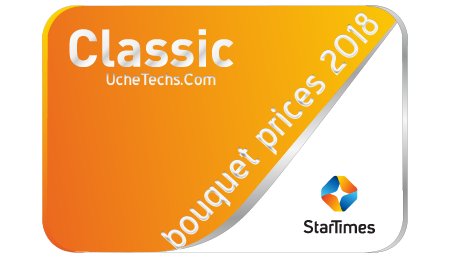 Startimes, the leading digital TV in Africa has reduced its subscription fee for Classic bouquet which will take effect on September 1st, 2018. The Classic bouquet Fee has been reduced from N2600 to N1900. The PayTv network also said that starting from August 1sts which we are already in, customers will be able to enjoy free subscription i.e Free-to-Air for 1-month regardless of which plan you are in. In addition, the bouquet will receive some new channels like Ebony Life TV, ST Nollywood Plus / Fox, and ST Kids. From their twitter page, we can conclude the move is to counter the recent DStv high subscription fee. DStv is also facing issues with licenses to show Live Football matches. They now show only highlights for previous matches.